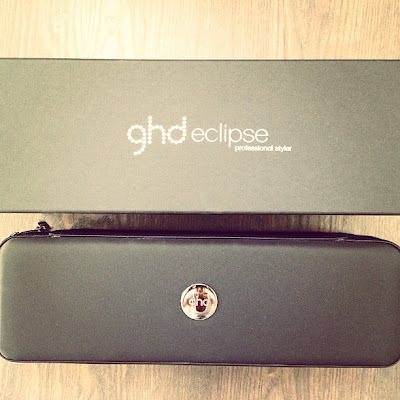 I got an invite to the launch of the brand new ghd styler called the Eclipse and it really is rather fabulous. I have owned the original styler since I was 17 and have loved it, but for some reason I got over the straight hair look and became a tad lazy with styling my hair - it's pretty straight as it is so found myself using my old styler less and less. I got given an Eclipse to try and ever since then have not stopped taking time out to do my hair - it is such a pleasure to use and leaves my hair looking so soft and silky. 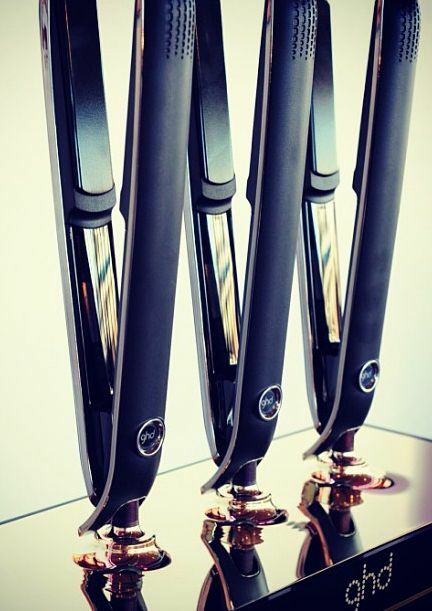 I still am using and loving the ghd air (reviewed here) which is just incredible, and these two combined make styling your hair so easy (and a fraction of the time than you are normally used to). First things first, the stylers revamped look is really slick and feels very solid. The contours are softer and there is a band of silver around the handle – this makes the product look more expensive and stylish. 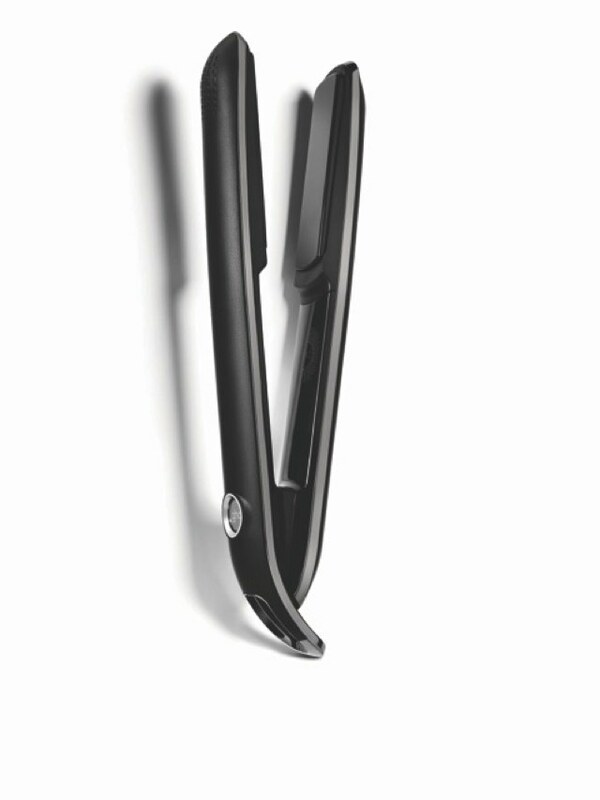 It is also lighter and much easier to handle that the previous styler. The on and off button is on the outside and lights up when switched on, flashing until it has reached its optimum temperature for perfect styling (185 C). It makes a chime kind of noise when it is switched on/off and when it is ready to use. The chord is now on a swivel attachment which ensures it not getting twisted – this is a big plus as this was the reason my first styler broke. 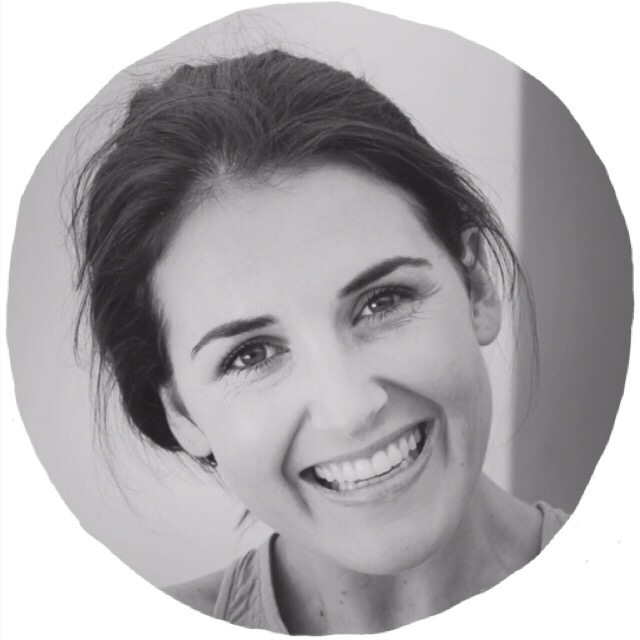 The plates glided easily through my hair which felt great and I found there was no need for me to re-do sections which made it a lot quicker and, in my mind, less damaging as you apply less heat to the hair. The styler remains at 185C (as mentioned), which is the best temperature for hair to be styled with. The ghd team obviously still recommend using heat protectant products though. As a small FYI the ghd Heat Protecter has been redone and is WAY better than before – the previous was rather hideous and the new one is completely different; leaving no tangles and smells heavenly! For those who are prone to styling injuries the new Eclipse will be your saviour as the outer casing remains cool to the touch throughout – this is thanks to the special Aerogel Insulation. 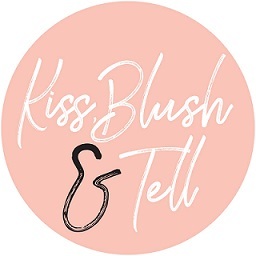 All in all I really am a fan of this styler, I know a few people have mentioned that it’s not that different from the original, however, I have to disagree – it really has impressed me and made me actually enjoy styling my hair all over again. Totally worth it, I think, and definitely the best styler I have used to date! The Eclipse will be sold at ghd-approved salons for R2899 as of May 2013.
ah would love to get my hands on this ghd! Dammit Tori! I had just convinced myself that I don't need it, and then you go and post this! Haha I really like it - give it a try first but I just think it is such a pleasure to use compared to my original styler. Obsessed with this an the air. The Air is amazing.. If I'm washing my hair in the morning before work I can sleep in an extra 15min because it takes such a short time to dry it! Have to say, the Eclipse sounds amazing. I have the original styler and after about a year I always find it tends to start pulling on your hair a bit as you run it through. I've never invested in a hair straightener because my hair is already sort of straight but I've always to get that.. super straight shiny hair look. To buy or not to buy! 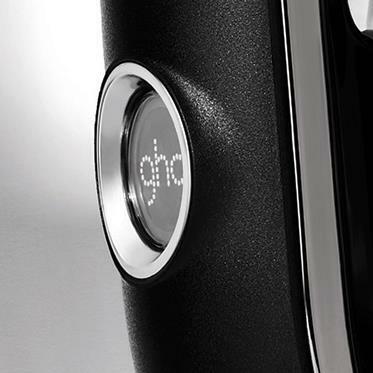 how long did your ghd air last? Do you think the quality is there with the newer models or is it going downhill since its possible that they're using cheaper material overtime.